This series, written by the legendary Peter Milligan and drawn by Ronilson Freire, was revealed on Friday’s San Diego Comic-Con (SDCC). The attached cover was beautifully delivered by John McCrea. 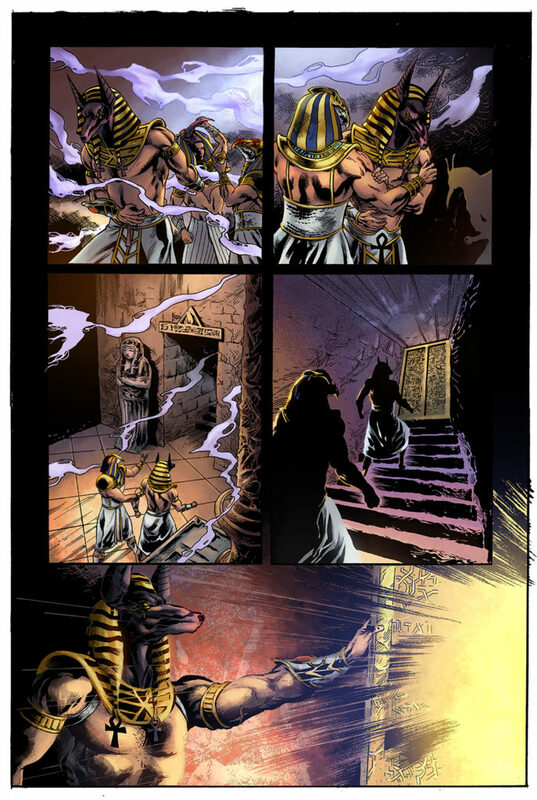 For 2000 years the Sect of Anubis have prolonged their life spans through human sacrifice and the enslavement of an Egyptian High Priestess cursed to walk the afterlife for all eternity. On one night every 30 years the Sect must offer up a human vessel to house the spirit of the priestess Nebetah so that they can kill her and drink her blood, thus granting them immortality. 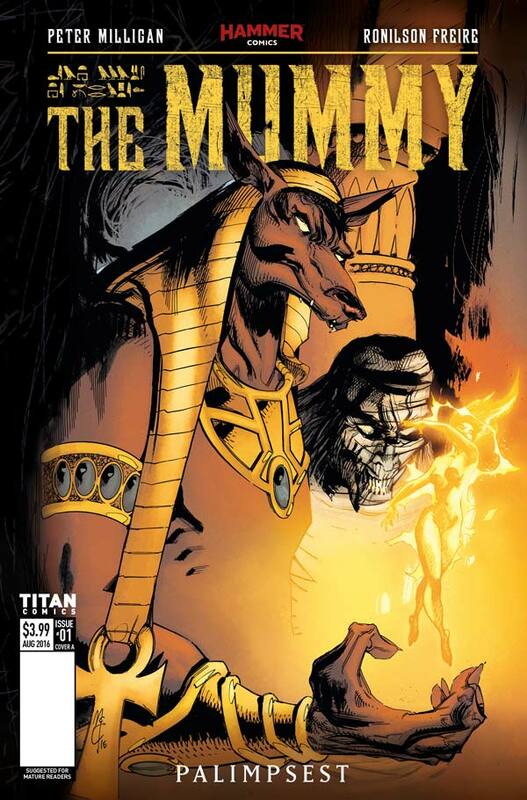 The Mummy #1 kicks off Titan’s exciting Hammer comics line which was announced at last year’s ComicsPRO. The line will see the publication of brand-new comic stories featuring classic Hammer properties, as well as wholly original Hammer stories, produced by Titan. Fans not wanting to miss out on further news of this exciting series, should follow Titan Comics on Twitter, Tumblr and Facebook for more information. 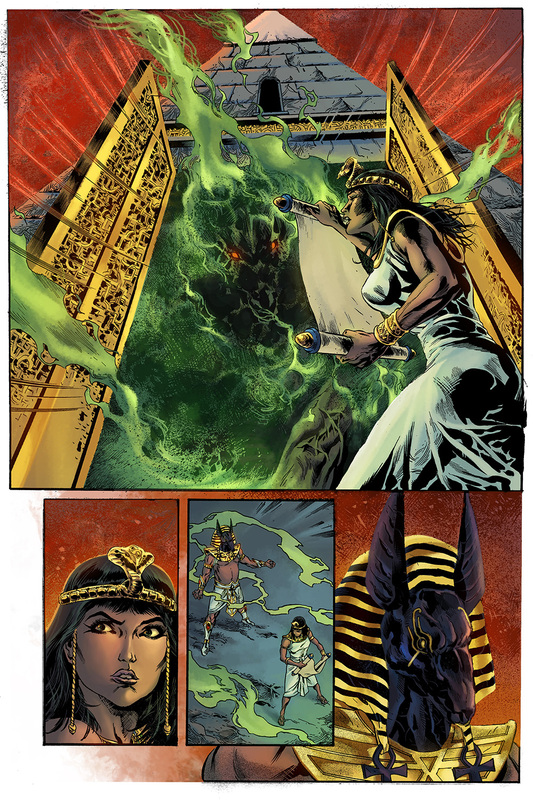 The Mummy #1 will be available to order from Diamond’s upcoming September PREVIEWS catalogue.